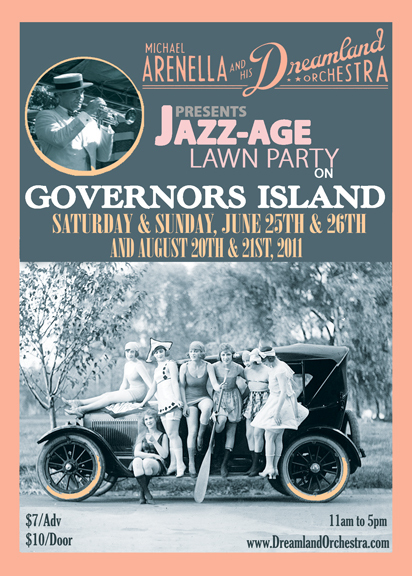 I'd seen photos of the famous bi-annual Jazz Age Lawn Party on Governor's Island the last several years, and always kicked myself for not taking a bus up to New York to attend. Last weekend, I finally amended that mistake and am so glad I did. 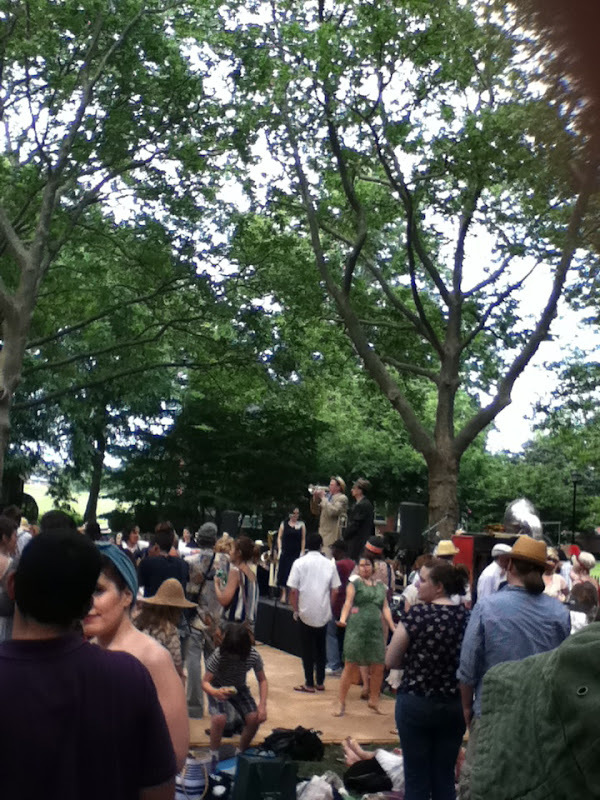 The music and dancing was fantastic and I loved seeing all of the modern day flappers and dapper gents walking around. 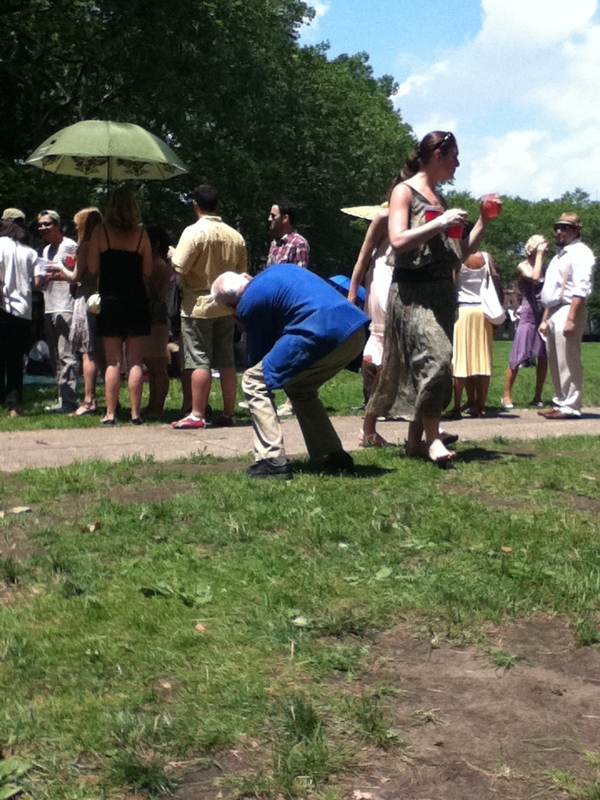 I even saw Bill Cunningham and his trademark blue coat taking photos for the New York Times! Have you seen the documentary about him yet? It's on my must-watch list. 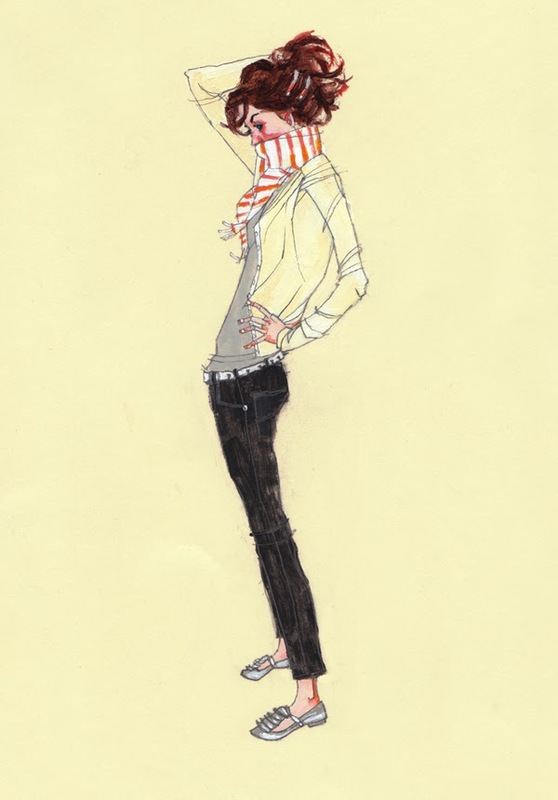 Anyway, I'd definitely attend the Lawn Party again, but next time I'd make sure to bring a big blanket to sit on and pack a parasol and a picnic lunch....and brush-up on my charleston a little bit beforehand. Since the only photos I took that day were either wide-shots or blurry, check out this blog for a ton of great ones that really capture the fashions and spirit of the day.